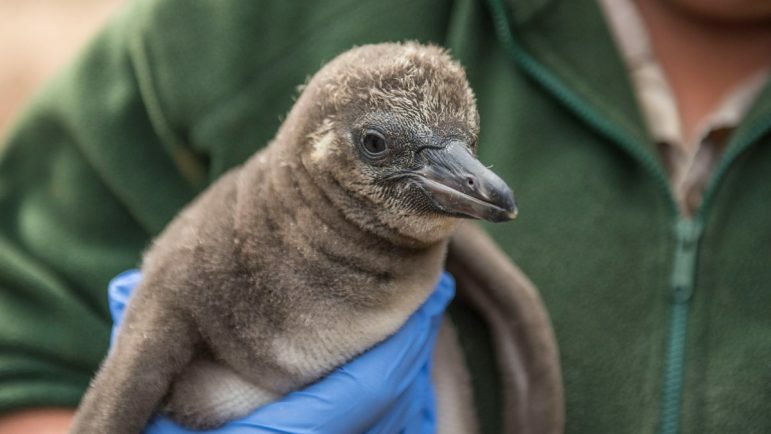 West Midland Safari Park are celebrating the arrival of a fluffy Humboldt penguin chick, the first to hatch at the Park in its 44 year history. Keepers were excited by the appearance of an egg on 9 March, which hatched five weeks later on 19 April, producing a tiny, cute grey chick. In the wild, Humboldt penguins inhabit the coasts of Peru and Chile and dig burrows into the sand or find small crevices in which to lay eggs. They may also dig burrows into guano cliffs, which are made up of years of accumulated droppings! 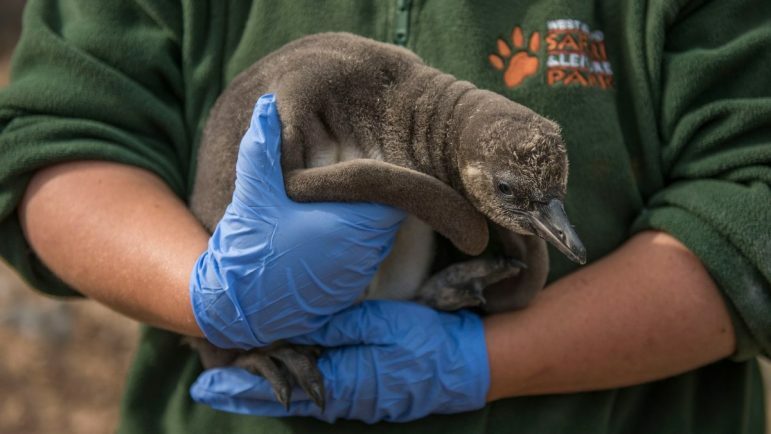 At the Park, the keepers have provided the penguins with nest boxes and crevices in which to shelter and lay their eggs. The penguins started to pair up last year and when an egg is laid, couples will share nest duties, taking it in turns to incubate the egg. 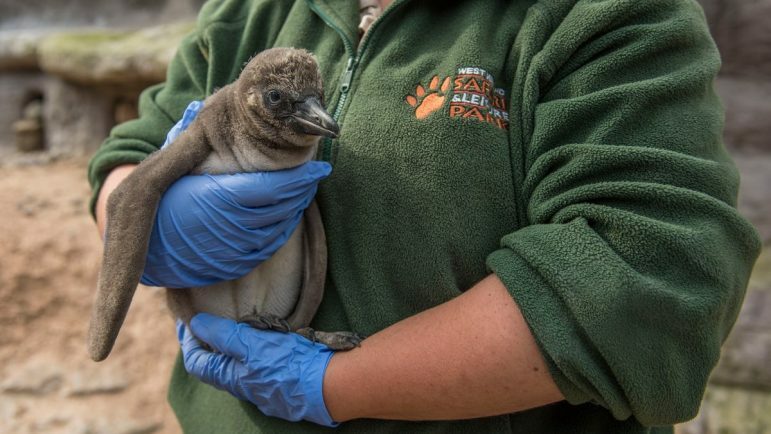 Penguin Keeper, Vicky McFarlane said, “We are over the moon to welcome our first penguin chick to our colony. Mum, Ripple and Dad, Ebony are doing an amazing job and we can’t believe how fast the chick is growing. We have added extra fish to the parents’ diet, which they swallow and partially digest, then regurgitate straight into the chick’s mouth! Keepers are now keeping a close eye on the not-yet-named chick and giving it important daily health checks to make sure it is happy and healthy. 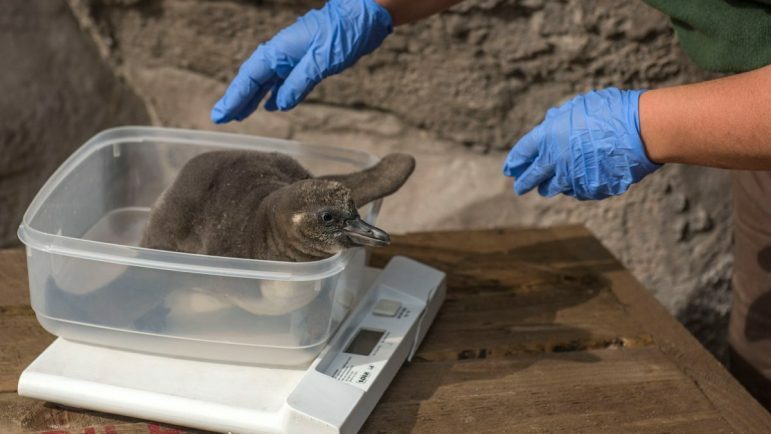 This includes weighing the chick to ensure it is putting on weight. It weighed 180 grammes at just a week old and now, at five weeks old, weighs 2,020 grammes. The penguins first arrived at the Park in 2012 and the colony is made up of 17 adult penguins, which came from zoos in the UK and Germany. 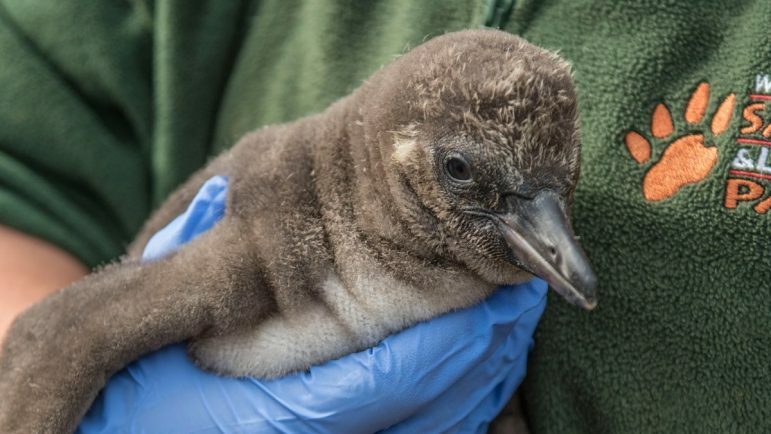 The penguins can be seen over May half-term, in West Midland Safari Park’s Discovery Trail, included in the standard admission charge of £23.00 for adults, £18.00 for children aged 3-15 and £21.00 for concessions. Admission includes a voucher for a return visit or safari gift. Adventure Theme Park rides are charged extra. Over May half-term, the Park has extended its opening hours and is open 9am – 6:30pm daily and until 7:30pm on bank holiday Monday.